Lancashire Police want to speak to Lesley Holdehjn in relation to a burglary in Longridge. Have you seen Wesley Holden? 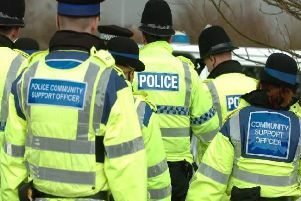 Police want to speak to the 40 year old, who has connections with Fleetwood as well as the Preston and Ribble Valley areas, in connection with a burglary in Longridge. They are keen make contact with Holden, 40, formerly of Hillcrest Avenue, Longridge, following an incident on April 11. Officers were called around 2.20pm following reports a man had been seen breaking into a shed in the town’s Mersey Street. The suspect searched the outbuilding but was disturbed by residents and made off from the scene. Following enquiries officers want to speak to Holden in connection with the offence. Holden is described as white, 6ft tall, with a receding hairline and several missing teeth. A Lancashire Police spokesman said: “We are appealing for information about Wesley Holden. “Despite conducting numerous enquiries we have yet to locate him and are asking for the public’s help in finding him.